Kelly is the Assistant Director of Events and Outreach for NATF. She is responsible for event management and marketing, as well as coordinating both online and in-person educational seminars and support groups. 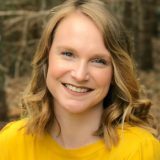 Kelly graduated in 2015 with her BS in Anthropology from James Madison University. She hopes to use her degree to help people across the globe gain a better understanding of thrombosis. Kelly is active in her daily life, with a love for the outdoors and exploring, as well as any and all sports.